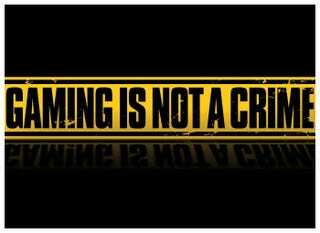 Gaming in Russia: Propaganda against Videogames. When I heard the news about shooting in one of the Moscow's schools I thought that this story would be an excellent opportunity for self promotion of one of our representatives in Lower House of Russian Federation Parliament (Duma), knowing their abilities to board the hype train and use the sitiuation to their benefit (financial and/or political). The tragedy happened on Monday, February 3rd. The student killed two people, a teacher of Geography and a police officer, wounded the second policeman who tried to stop him. The boy responsible for this terrible accident is a student of High School in the North East of Moscow. His schoolmates told the press that he is a clever and successful learner, but shy and self-contained person. According to his peers he has been into guns recently, boasting that he shoots with his father during the weekends. Teachers gave him high praise because of his good grades and quiet behaviour. Such things as mass-shootings are new to us, Russians, but in the recent years it has happened 4 times. In 2009 in Moscow, ex-cop, Denis Evsyukov armed with a pistol killed 2 people in a supermarket and after leaving the place attempted to kill 22 people. He was alchoholically intoxicated. The trial gave him life sentence. In 2012 again in Moscow, a law officer of one the big drug store chains, Dmitry Vinogradov armed with two hunter's rifles killed his 6 co-workers. Before the massacre he published a manifest full of hatred towards humanity. Again life sentence. In 2013 In Belgorod, unemployed, Sergey Pomazun armed with his father's rifle killed 3 people in a shop for hunters, stole 2 guns and after leaving the store shot 3 more people dead. He was mentally unstable and got life sentence despite his psychological problems. All these crimes were carried-out by grown-ups with deep mental disorders. In the first case, if I remember correctly, his lawyer tried to connect Evsyukov's actions to obsession with videogames, but many think that it was not the real reason. But after last Monday's shooting carried out by a teenager this concern was raised again: Are violent videogames bad for gamers? Should they be banned? It is a well known fact that when such tragedies occur in the US many local politicians and public figures react to it by asking the American society to start war against violence in vidiogames and prevent children from playing viloent videogames. During the public discussion the developers try to prove thier ground and their opponents try to ban videogames from American homes. The arguement never goes beyond psychology, sociology and education. Three games were brought to discussion in Duma, Company of Heroes 2 where player can control soviet hit squads which can attack civillians, World of Tanks where player can choose to control a Nazi tank and destroy soviet T-34s and a game which I am absolutely not familiar with and have not heard the English name for it. The former game has some controversy in it (I have not played it and will not argue about it), but the second one...World of Tanks is a huge hit in Russia. My best friend's dad plays it, he is about 50 years old. In the ad for this game you can see two elderly men discussing the game. IT IS THE MOST PATRIOTIC GAME EVER, MAN!!! The game is developed by a team located in Belarus, our closest nieghbour and strategic ally. I do not support neither Russian policy (aka bloody regime) nor Belarus, but what is this guy thinking? I remember when Modern Warfare was just about to come out in Russia one of the deputies tried to ban this game in Russia. But he only forced Russian publisher to cut the infamous level from the game, but only in PC version. I have this game for PS3 and 360 where you can play/skip this level which is a great compromise. Contemporary Russia is country of propaganda and censorhip. The politicians create acts and bills that contradict with common sense and constitution. This is the country I live in. This is the country I game in.